The Embassy of the Sovereign Order of Saint John of Jerusalem, Knights of Malta, Federation of the Autonomous Priories (KMFAP) to the Republic of Angola has the pleasure of informing that on the 3rd of July 2013, took place in the Province of Bengo of the Republic of Angola, one more activity of Cooperation of this Embassy in the field of Health Care, through our Femeraid Angola Unit. This time the Embassy of our Sovereign Order and State, through its Femeraid Angola Unit, donated to the Provincial Direction of Health of Bengo various medical and surgical equipment destined to the hospitals of this Province. The present donation had the value of 100.000 (One Hundred Thousand) American Dollars. (see photo nº1 below). The present activity of Cooperation of the KMFAP Embassy to the Republic of Angola, was preceded by another important medical event, which took place some months before in the Angolan Province of Cabinda, during which the Femeraid Angola Unit of our Embassy offered medical check ups to detect several illnesses to 1.242 (One Thousand Two Hundred and Forty Two) children of the schools of that Province. There was also a work-shop on Dental Hygiene and, besides receiving a dental hygiene kit, the children have also received T-Shirts, caps and backpacks related to the event, and a light meal. That event had a cost of 300.000,00 USD = Three Hundred Thousand American Dollars (see Photo nº 2 below). 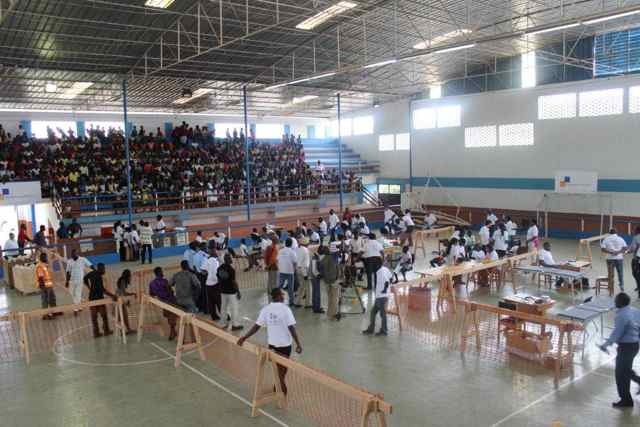 These events have been organized in collaboration with companies and institutions belonging to Knights of our Federation (KMFAP), and soon new events of several kinds will take place in different parts of Angola.